22400 wrote: My second build will be the same, just better. Adding the right colors end adding some details that were discovered after i finished the armor. Ah, remaking the one you got or getting a new kit? Hurray only an hour left before i can gluedown the dome of the hemlet and start working on it. And the fun part of sanding like crazy. Which kit are you going for this time? Lucky for you i'm making a SL myself and pyramids i already have an extra set you can have. Buckle is printed and sanded. will make a mold for that as soon as i get some more materials in. Is it the Sean Fields files or do you have some other files? 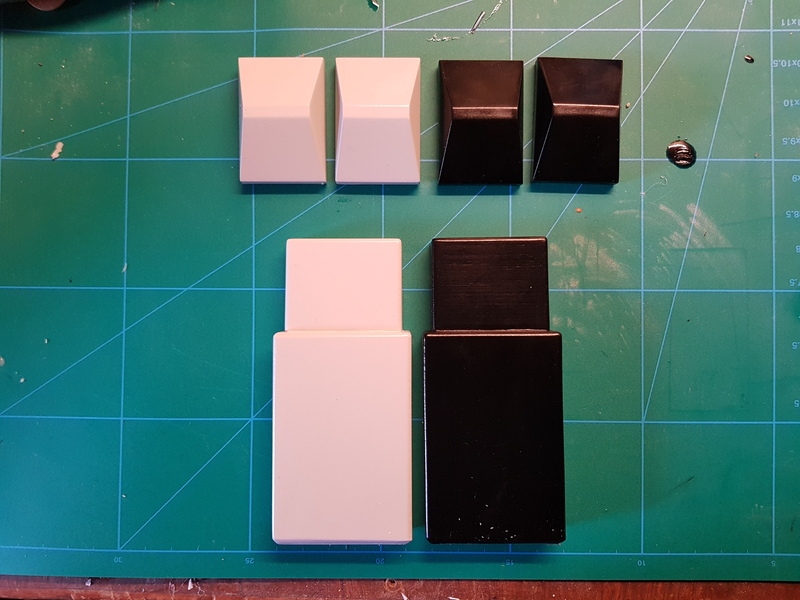 The grey ones are the "masters" and the black are the casted part in solid resin. Almost done with printing the E22 blaster as well, have a few parts that i need to print. Thinking of casting a few parts in resin there as well, so i can make an extra instead of printing. Ofc i can make some bucket greeblies =), if you are in a hurry i can make some 3d prints otherwise i need to wait for some more silicone, should be delivered next week. I will start casting this week, just made the rest of the moulds for the boxes. 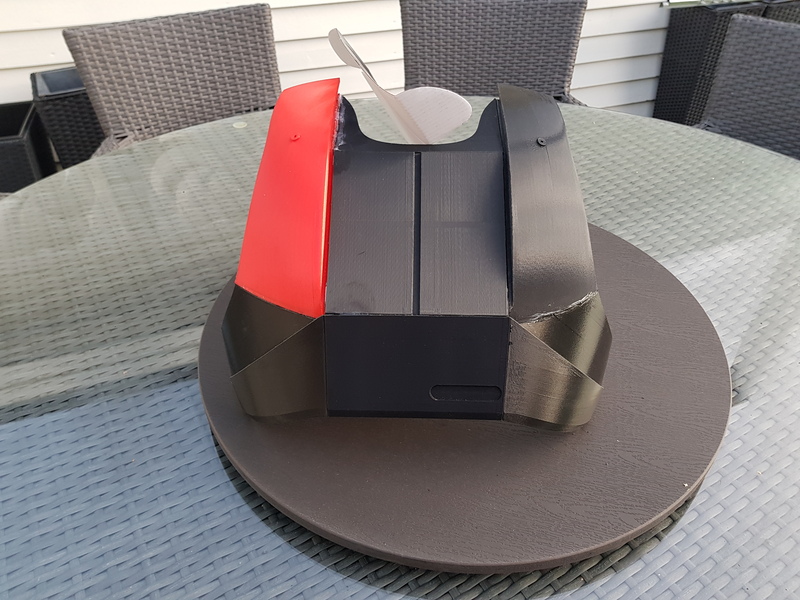 Pm me your adress and i send over some pyramids you can take a look at, with the bucket greeblies if its ok with just a 3D-print. Chest printed, time for some filler and sanding and some more sanding. Did you get the parts?